Like the title says, there is nothing easier than these sweet potato chips for your dog (or even you)! And oh so natural!!!! Pop a few of these back yourself as a tasty and healthy treat to show your pooch just how yummy they are. 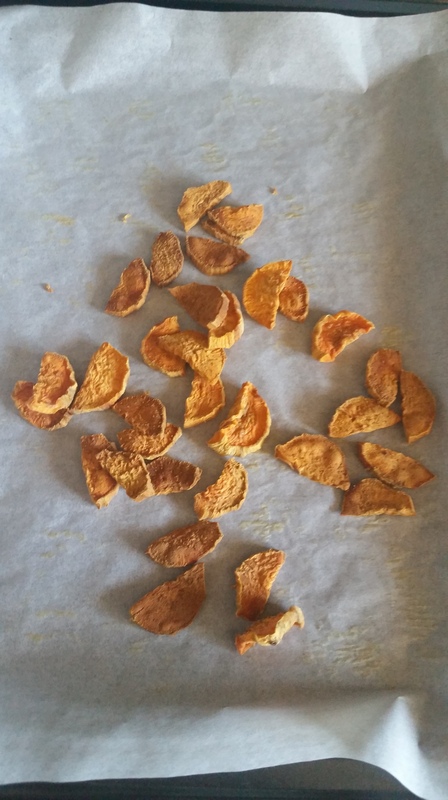 Just preheat the oven to 250 ° and cut a sweet potato in half length wise and then into little “chips”. Throw in the oven for up to 3 hours depending on the crispness you and your dog desire! Let cool. DONE. ENJOY. I would like these. Brutus is allergic, but I could toss in some white for him.